The Drainage Nutrient Intervention Program (DNIP) is funded through the Rivers and Estuaries Division, Department of Parks and Wildlife as part of the Healthy Catchments Program which aims to reduce nutrients from across the Swan Canning Catchment. 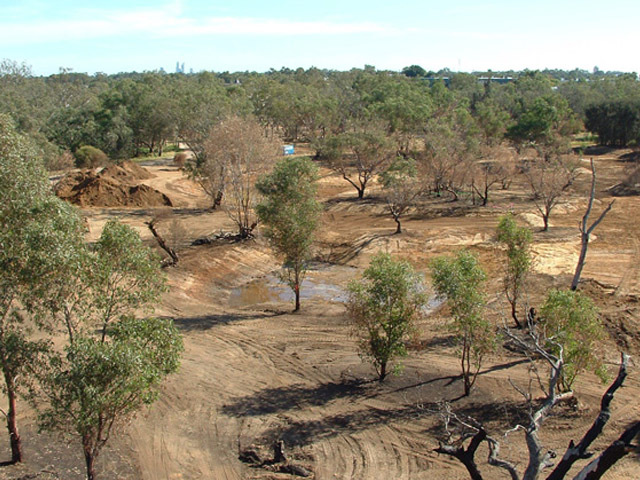 The DNIP projects implement on-ground works in drains and tributaries in the Swan Canning Catchment to strip nutrients from stormwater before it enters the rivers. The works are done in collaboration with the Water Corporation, local council, State government agencies and the community. Established in late 2003, in response to algal blooms and fish deaths in the Swan Canning river system the Drainage Nutrient Intervention Program (DNIP) initiates and funds onground works to improve the quality of water entering the rivers through drains and tributaries. 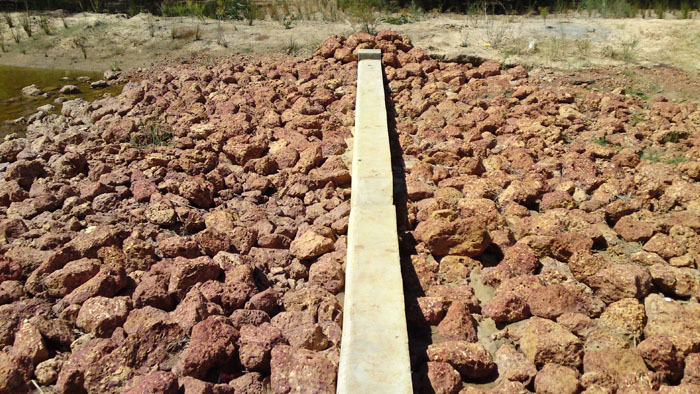 These works involve trialling structural treatment measures in priority catchments. They focus on removing nutrients from drainage water during the summer/autumn period when low flows, high temperatures and excessive nutrient input can cause algal blooms and fish deaths in the rivers. Nutrient intervention projects are planned, implemented and maintained in partnership with federal, state and local government agencies and natural resource management groups. Once constructed, nutrient interventions are monitored to determine their effectiveness and how they can be managed to improve performance. 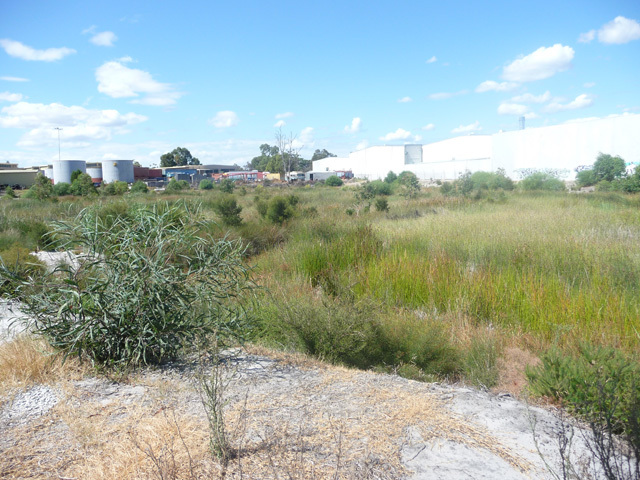 Intervention monitoring is intended to provide data on the performance of structural stormwater treatment measures implemented on the Swan Coastal Plain. The Manley St Compensation Basin forms part of the Wharf St Main Drain System and flows into the nearby Canning River. This Basin was seen by the Department of Parks and Wildlife as a significant opportunity for the removal of nutrients within this section of the drainage system to reduce the presence of phosphorus and nitrogen in the stormwater runoff that enters the Canning River. 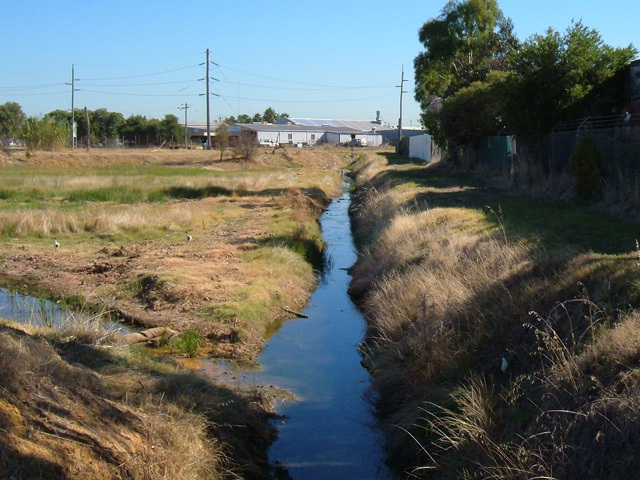 The Mills Street main drain catchment was identified as a key contributor of nutrients to the Canning River. 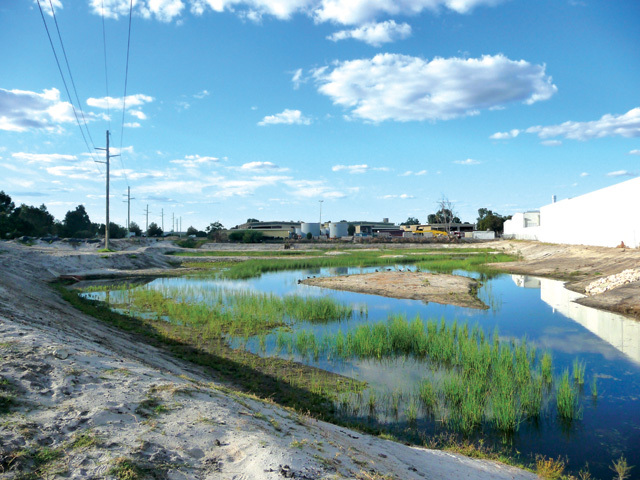 The Anvil Way Basin project aims to improve water quality and reduce nutrients and other contaminants entering the Canning River via the Mills Street main drain. Construction of the project encompassed removal and treatment/disposal of the accumulated black sludgy sediment in the basin. Sampling and analysis of this sludgy material found it to be potentially acidic and highly contaminated with metals and hydrocarbons. Removal and treatment of the contaminated sludge began in November 2010 with the re-shaping and re-vegetation of the basin following. 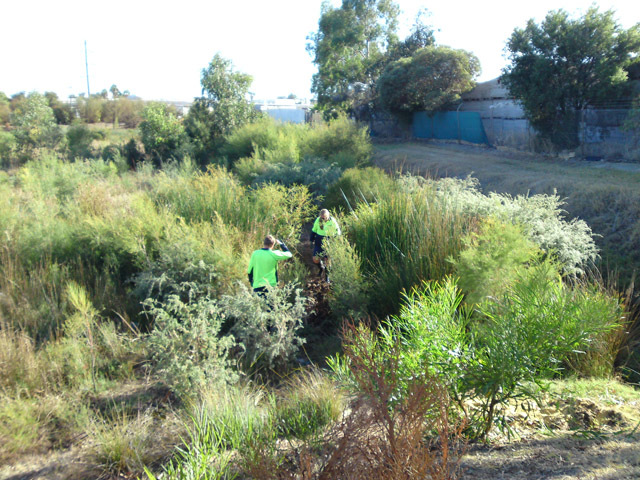 The primary objectives of the Anvil Way monitoring program are to assess the performance of the living stream in treating and improving the quality of urban stormwater runoff exiting the basin and ultimately the Canning River and to determine compliance with relevant water quality guidelines. 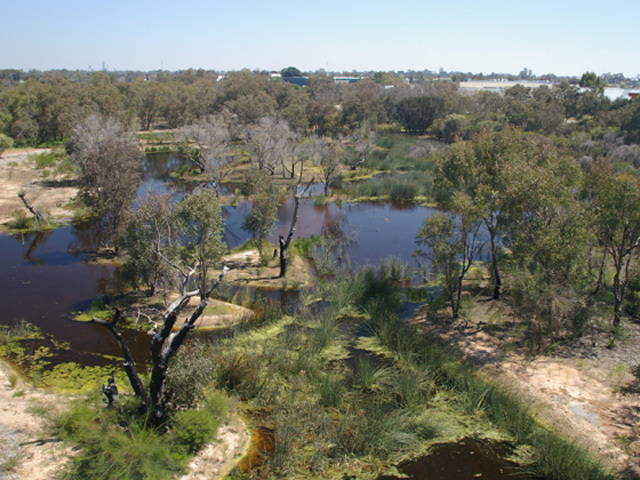 The Liege St Wetland (LSW) is located within the Canning River Regional Park, in Cannington, Western Australia. It intercepts stormwater from the Liege St, Cockram St and Greenfield St drains before discharging into the Canning River. 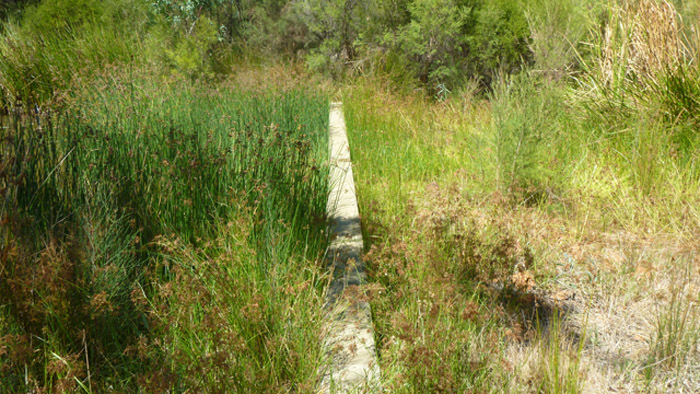 The LSW is an extensive nutrient stripping and riparian restoration project undertaken in partnership by the Swan River Trust, City of Canning, Department of Environment, Department of Parks and Wildlife, Water Corporation, Two Rivers Catchment Group (TRCG) and the South East Regional Centre for Urban Landcare (SERCUL). Approval was granted to carry out the works in April 2004. Earthworks and engineering works commenced soon afterwards and were completed in July 2004. 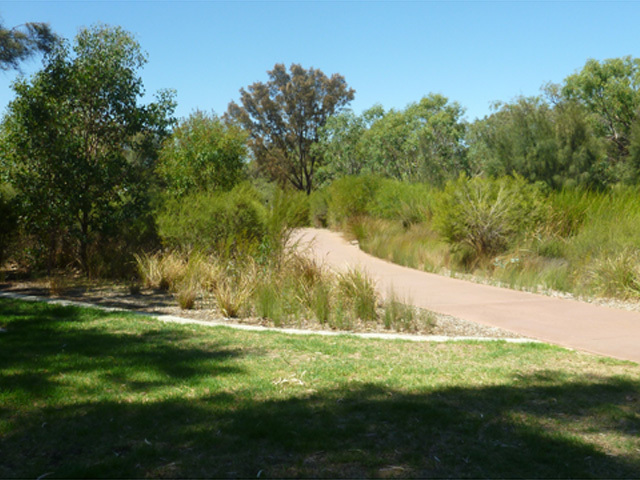 The initial revegetation phase began in June and was completed by November 2004. Further information on the development of the project, concept design and specifications is provided by the Liege St Workshop Notes (Dept. 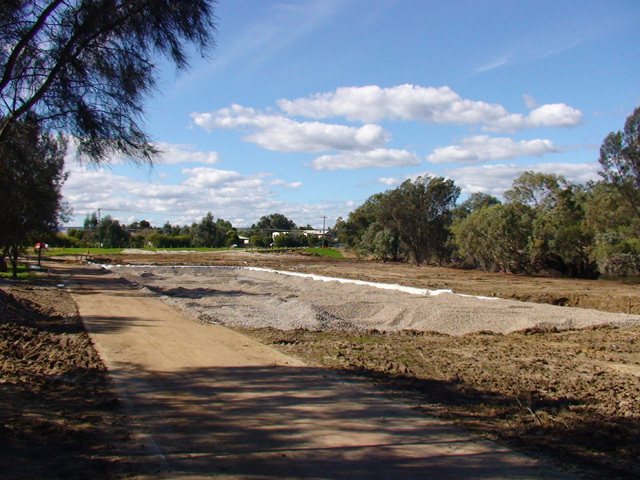 of Environment, 2003) and Liege St Demonstration Wetland Concept Design; Liege St Wetland Earthworks Plan; Earthworks and Civil Inspection and Hold Points – Liege St Demonstration Wetland; and Revegetation Specifications – Liege St Demonstration Wetland (Syrinx, 2004). 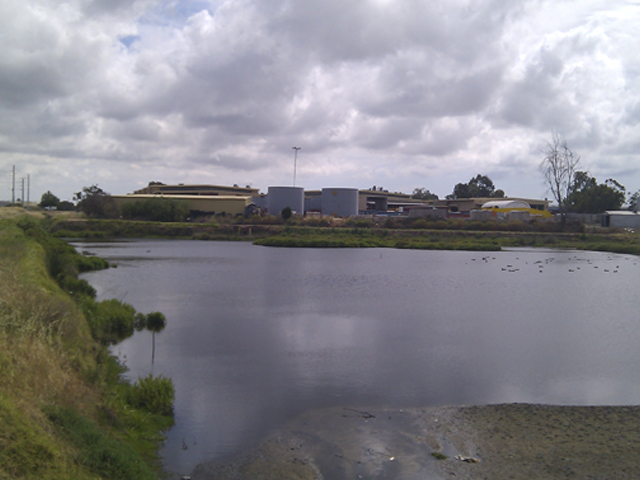 The Lacey Street Main Drain Catchment has been identified as a key contributor of nutrients entering the Canning River. The Bickley Road Basin restoration project aims to improve the water quality entering Canning River via the Lacey Street Main Drain, by modifying the flow channel and vegetating the site. The project also aims to improve the habitat and amenity value of the area and provide a hydrological function. 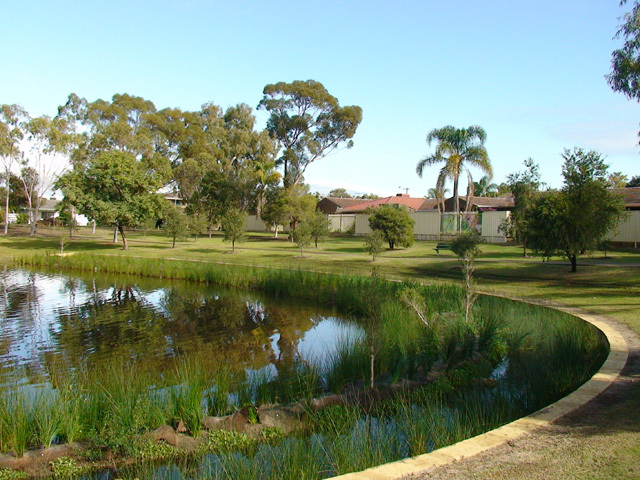 The Bickley Road Basin project was funded through the Department of Parks and Wildlife’s Drainage Nutrient Intervention Program, with support from and collaboration with the City of Gosnells, Department of Environment, Water Corporation, the Armadale Gosnells Landcare Group (AGLG) and the South East Regional Centre for Urban Landcare (SERCUL). 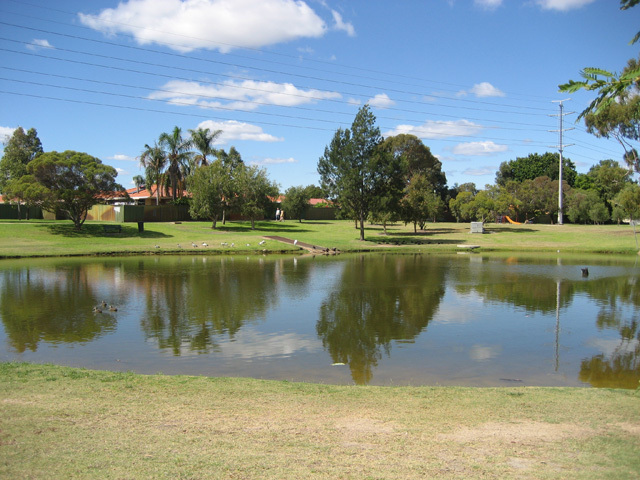 The Bickley Road Basin is located in Beckenham on land managed by the Water Corporation. The project area is approximately 1.5 hectares. It is bounded to the south by Bickley Road, to the north-west by the local government boundary and to the east by a private property fenceline. The project area includes all ponds, sumplands and upland areas within this boundary, including the outfall of one local council drain and the high flow bypass. 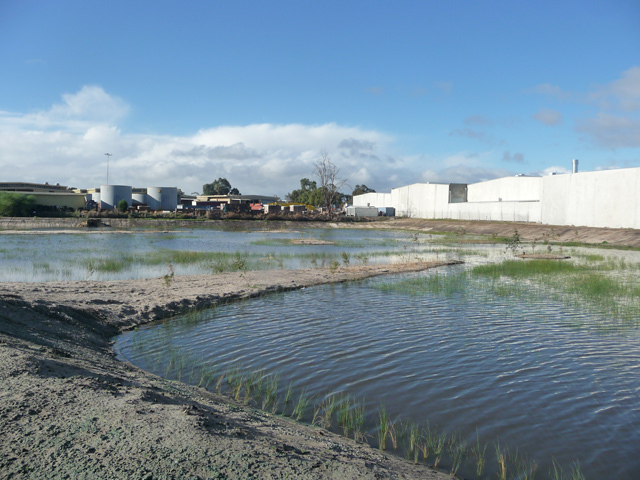 The Wharf Street Constructed Wetland and Civic Parkland project was initiated under the Department of Parks and Wildlife’s (DPaW) Drainage Nutrient Intervention Program (DNIP). 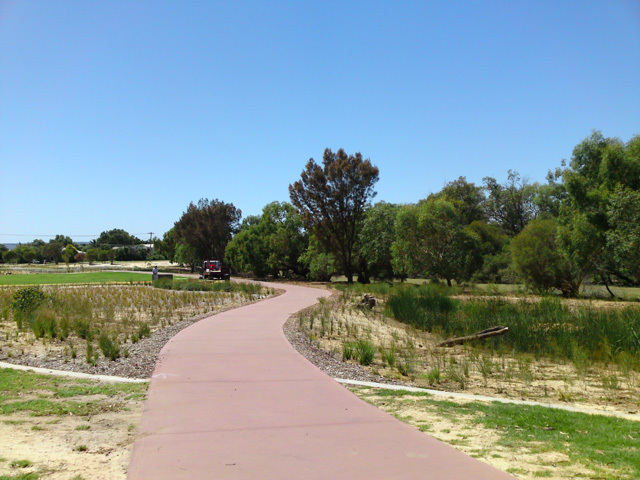 The wetland, designed by consultants Syrinx Environmental, was implemented through a partnership arrangement involving the DPaW, City of Canning and South East Regional Centre for Urban Landcare (SERCUL). The wetland intercepts the Wharf Street Main Drain (WSMD) which delivers stormwater from a 129 ha urban area within the Canning Plain Catchment, to the Canning River just upstream of the Kent Street Weir. 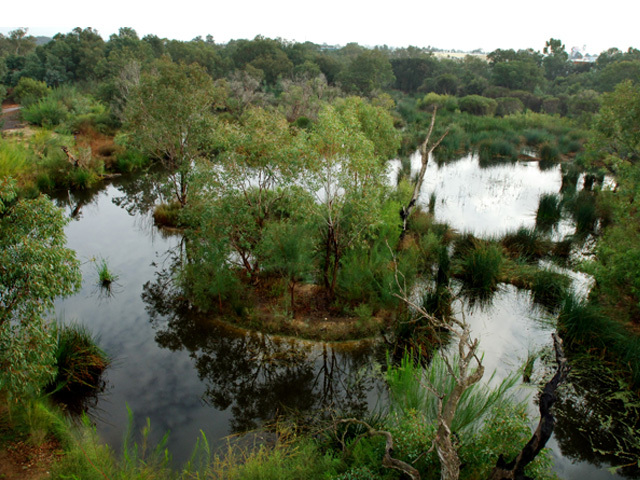 The wetland is designed to remove nutrients and other pollutants from the stormwater before it enters the Canning River, which can experience water quality degradation including de-oxygenation and occasional fish kill events. High flows can bypass the wetland and continue down the main drain so that hydraulic conductivity during storm events is maintained (Syrinx 2007, SRT 2013). 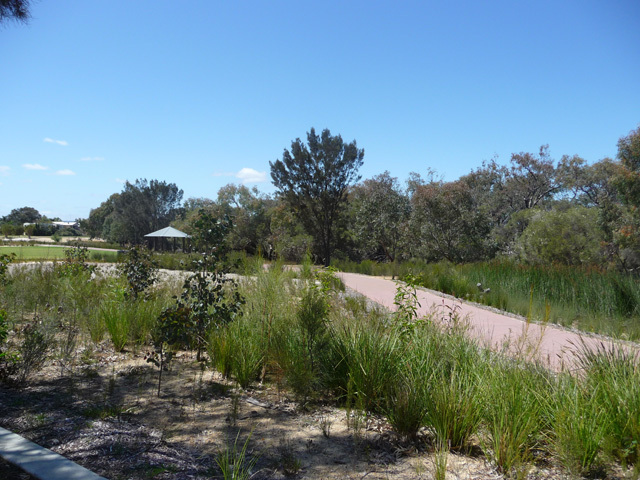 Secondary objectives of the site were to provide a passive recreational and educational asset, to provide an ecological link between the Canning River Regional Park and the Canning River Council Gardens, and to enhance the habitat of the area by returning endemic species and habitat types. These secondary objectives were not addressed in this assessment.